Ok, I know I have been a bad girl! I have been too busy with work and too exhausted when I get home to blog. As a result I have been terribly lax at writing up May's no waste food challenge which focusses on using bread and breadcrumb leftovers. I feel very bad about this as lots of you spent time blogging items for the challenge, so please take this as an apology. 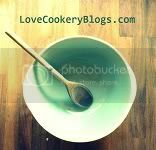 June is also a very busy month for me so I will extend the deadline for June's challenge to 15th July and you are welcome to blog any recipe that uses up leftovers. Back to bread. First up we have recipes for using bread, then if you still have leftovers you can make breadcrumbs and there are a selection of recipes for using these too. Mel from edible things made some hearty bread dumplings. Just what we need in this beautiful British summer we are experiencing. Mel got all experimental and tried several ways of cooking her dumplings, settling on two favourite methods, frying in butter and adding to soup. Next up we have a bread pudding blogged by Soosie. This recipe is a microwave version and therefore looks perfect to whip up with leftovers in a hurry. The recipe includes all those classic warming flavours of mixed spice and fruit to get us through the Blighty summer. This Crete salad was my suggestion for using up stale bread. I obviously blogged this when the sun was shining on us all. The salad is based around stale bread which is soaked in olive oil. Next up we have the second option for using up leftover bread, apart from feeding the local ducks of course, turn the bread into breadcrumbs and then enjoy plenty more recipes. Tango took us through the process of breadcrumb making on her blog Tango Like Raindrop and has linked to lots of breadcrumb recipe suggestions. First up for using breadcrumbs Emma from Emma's Kitchen Diary has shown us how to make these scrumptious looking home made fish fingers. These look so much nicer than shop bought fish fingers and look like they have real crunch. Emma also confesses that this is her first taste of a fish finger ever. I suggest Emma that you next try a fish finger sandwich, they are so good. Lastly I used my breadcrumbs for some Portobello Stuffed Mushrooms. These also used lots of other leftovers from my fridge. Thank you to everyone who joined in. To join in July's no waste food challenge follow the challenge rules and send me any recipe that uses up leftovers. arrrgh, busy time for me too and I forgot this one. Don't often have bread to use up. If I'm inspired before the 15th I'll post something up. This looks so yummy! Love the combination!